UI/UX design for a unique CMS developed for the design teams that create content for the Microsoft retail stores. 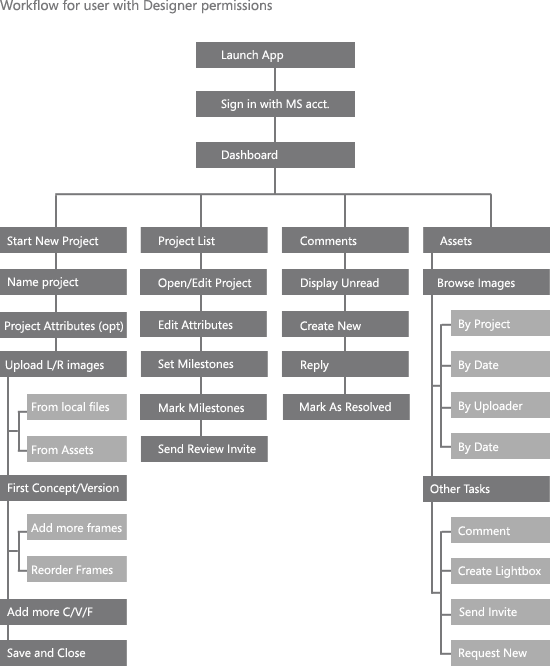 Content Studio Portal is a Content Management tool used by the specialized team in Microsoft to manage design assets created for the brick and mortar Microsoft Stores. I was brought onto the project to design and oversee development of the toolset beyond the intial v1 launch. A basic web CMS application was already in use by the team but was in need of additional functionality in order to handle the increasingly complex workload. Features were needed to build a more versatile file management tools on top of the system as well as more capabilities within each project. Hand drawn diagrams served as a conversation started to kick off the initial plans on the overall needs of the project. The yellow band is a quick overview of the existing features while the orange bands show proposed features that will add more capabilities on top of and within the existing existing functions. 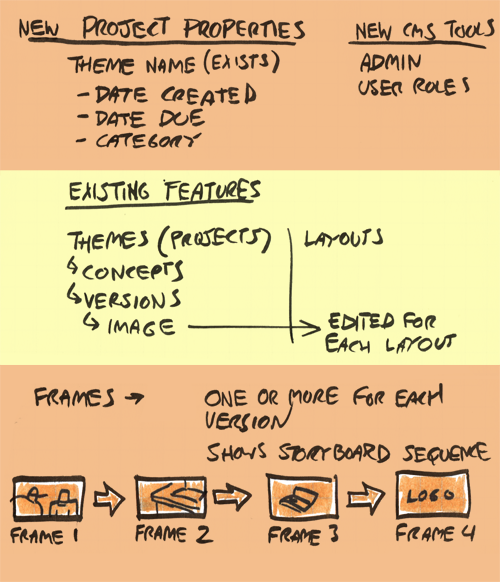 I started planning for the build by defining user roles for the tool and permissions for each role. 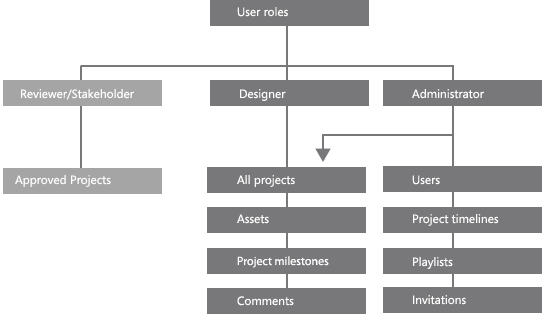 The capabilities for each user role needed to be further defined in order to plan properly for building the UI for each section of the application. 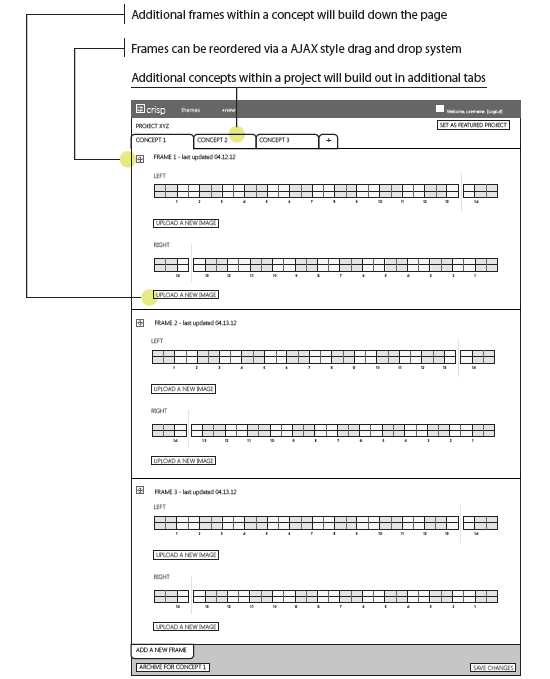 Lo-Fi wireframes were built next to block out the basic areas of the UI, including toolsets, file management, and content areas. 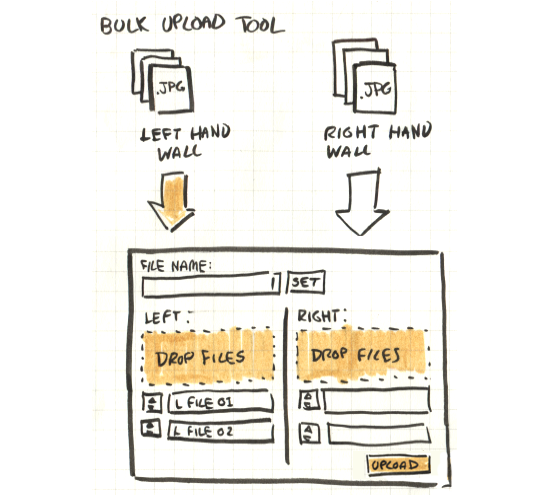 Further wireframes were created to focus in on the toolsets needed within the areas of the tool where image editing and many viewing options that needed to be easily toggled on and off. Each component of the system was treated as a mini project with sketches and wireframes to help the team bring it to a full functioning tool, working seamlessly with the rest of the CMS. A bulk file upload tool is shown below as an example.